Girls Varsity Tennis · Mar 13 Both Varsity 7-0 and JV 6-0 girls tennis won all their lines in their matches today vs JFKennedy. Mar 12 Girls Varsity Tennis at John F. Kennedy 3:30 pm Mar 12 Girls Junior Varsity Tennis vs. John F. Kennedy 3:30 pm | Arvada West High School Mar 12 Boys Varsity Baseball at Green Mountain High School Green Mountain 4:00 pm | Green Mountain High School Mar 12 Boys Junior Varsity Baseball vs.
Tomorrow’s (3/9/19) Varsity and JV games @ Castleview have been postponed. Boys Junior Varsity Baseball, Boys Varsity Baseball · Feb 28 Baseball: Mandatory Apparel Package Orders DUE! Don’t forget to order the mandatory player apparel package. The link to the store is http://www.ksgsport.com/arvadawest.html. Orders must be made TONIGHT by midnight! 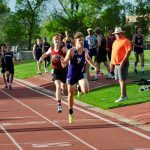 Coed Varsity Track · Feb 28 Like to Run, Jump, or Throw? Join the Track & Field Team today! 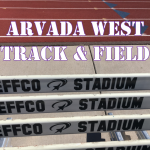 For more information, check out our website at Arvada West Track & Field. Register now! Registration closes Tuesday, March 5, at 8:00 a.m. Go Wildcats!